The holiday season can be rough on your body, as many of us tend to overindulge and find ourselves scrambling to shed some unwanted pounds as we head into January. While gaining weight is never a good thing, it’s nice to know that some great fitness centers in South County are nearby and taking on new members. 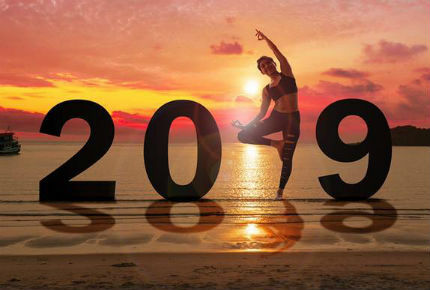 The scope of these centers vary, as some are small local businesses, others are part of multinational chains, and a few are members-only, but all of them give you the opportunity to better your physical condition in 2019 through their equipment and classes. If you’re serious about losing weight and getting into shape, look into the offerings at some of these South County fitness centers and choose the one that best suits your situation. Just outside of downtown Westerly on High Street sits Westerly Fitness, a full-service gym that is open seven days per week and has extended hours between Monday and Thursday. The fitness center has a ladies-only zone, in addition to two weight rooms, cardio equipment, group classes, an express workout circuit, and a free consultation with a trainer, included with your membership. There's also complimentary purified water on-site, and you can bring a guest with you for free on weekends. Discounts are available when you sign up for a long-term membership, as well. In addition to the typical gym equipment, Westerly Fitness has a boxing gym and a spa offering Swedish, deep tissue, reiki, and hot stone massages. Keep in mind that the cost of your membership does not include the premium spa treatments. There's a little bit of everything at the River Bend Athletic Club in Wakefield-Peacedale. This 2,600-square-foot facility has three weight rooms, 39 cardio machines, a yoga studio, basketball, squash, and racquetball courts, a boxing center, saunas, massage rooms, and tanning beds, giving you everything you could ever want from a fitness center. You'll also find over 50 different classes to join and personal training programs if you'd like some professional help along the way. The gym even has babysitting services for parents who have no option but to bring their kids with them. Members consistently rate the River Bend Athletic Club one of the top fitness centers in all of South County, and once you're signed up for a pass, you'll quickly see why. South Kingstown's Luxe Fitness South County is located at The Village at South County Commons, a residential and retail space along U.S. Route 1. This upscale gym features state-of-the-art, high-tech equipment, giving you the best of everything as you work to achieve your fitness goals. If you're serious about getting into shape in 2019, a membership at Luxe Fitness could be precisely what you need to kickstart yourself. You'll even find some great classes to take at the fitness center, including cardio training, muscle conditioning, Pilates, and yoga. There is a second location at the Granite Street Shopping Center in Westerly, as well, which has the same commitment to providing you with the best fitness equipment on the market today. The popularity of Anytime Fitness is easy to explain, as this chain of fitness centers has over 4,000 locations worldwide and once you have a membership, you can use any of them at any time. There are two locations in South County alone – one in North Kingstown and one in Narragansett – so you're always close to a gym. In addition, every gym is open 24/7, and you're provided with a free, personalized program when you sign up, helping you to get the most from your fitness journey. There are all kinds of classes and personal training options, giving you lots of flexibility on how you utilize your membership. The chain often has low rates when you're just starting out, so you can try them out for a month or so before making a long-term commitment. Driving past its location at 904 Boston Neck Road in Narragansett, you probably wouldn't even notice Steve's Gym & Fitness Center. After all, the center is right next to a coffee shop in a small strip mall, which is the last place you’d expect to find a gym. This venue is unique, however, because it avoids the hyperbole and grandeur often associated with fitness centers while providing what you need: a great place to get some exercise. The interior is modest, and it lacks the fancy equipment that you'll find at larger establishments, but if you're merely looking to use a few machines or receive some personal training from Steve Koussa himself, this is the place to do it. You might also appreciate the fact that Steve is from Narragansett and has owned and operated this gym since 1980, so you're helping to support a small local business through your membership. South County has plenty of options for getting you into better shape in the coming year. Head to one of these popular fitness centers and ask about their membership packages to help make a new you in 2019.